As always Chuck’s family is featured, with a beautiful rendition of the classic Cuban Bolero "Esta Tarde Vi Llover " sung by Spanish singer Carmen Cuesta, a duet of the classic "My One And Only Love" with daughter Lizzy Loeb, and a haunting original co- penned with daughter Christina “Las Eras” featured on Ukelele, inspired by their summers in Northern Spain. 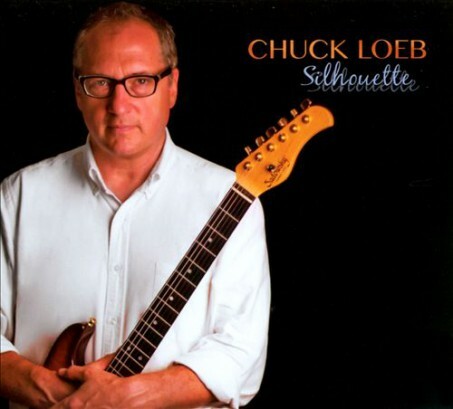 The title “Silhouette” (...the shape and outline of someone or something visible against a light background) is meant to evoke the idea that Chuck’s musical life has been shaped and outlined by the light of his experiences, relationships, and influences throughout his career, and a nod of appreciation to the music and musicians that got him where he is today. Enjoy this latest offering of vintage Loeb and look out for tour dates world-wide on his web site, Facebook & Twitter.